I’m Sulana, Registered Dietitian, Master Coach in NLP, TLT, Trainer in Hypnosis, and Award-Winning Author. I help women just like you to break-free from yo-yo dieting and emotional eating and start living the life you were meant to live. I know how you feel. 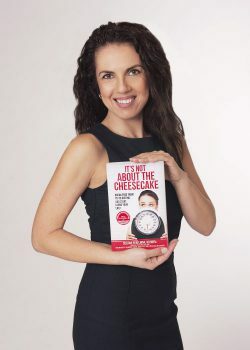 I used to be that girl – either dieting or binging – feeling out of control and sabotaging my efforts with every diet and meal plan. My intensive knowledge in nutrition was not enough to get me off the dieting hamster wheel. I was pointed inward. I got to get to know myself, my patterns of thought and action, my unconscious programming, and my deeper limiting beliefs that were keeping me stuck and from moving forward. I got to build a new relationship with me – and I started to pay attention to what I needed and wanted. I began to experience my feelings, instead of using food to numb them. I stopped allowing calories and portion sizes dictate my life and what is supposed to satisfy me. I now live a life with endless possibilities. I eat when I’m hungry, I stop when I’m full. I move my body in a way that feels good, and not because I have to. Oh! And I enjoy cake – I mean I really enjoy it – and can stop when I’ve had enough, not because I “should”, but because it no longer has control over me. Work with me. Create more joy and pleasure in your life. Free yourself from the constant obsession over food, and watch your body respond.